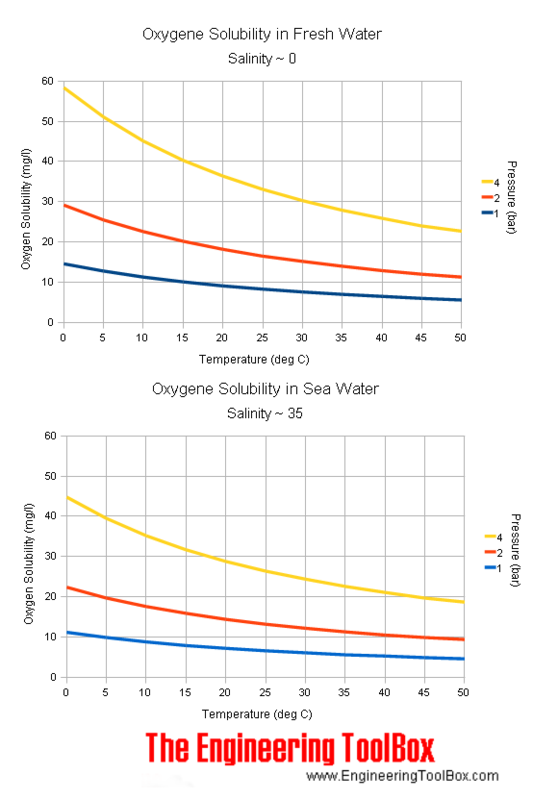 ... oxygen is more soluble in water than other atmospheric gases. Photosynthetic organisms in the water release oxygen which raises the amount of oxygen in the water. Calculate the molar solubility of MgF2 in 0.13 M MgCl2 at 25 ∘C? 8.5 mL of a 0.40 M K2CrO4 solution is diluted to 10 mL. Use this formula C1V1 = C2V2, and calculate the final concentration of solution.? The Carbon, C, has (blank) orbitals, which form sigma bonds with(blank)... I have no idea how to do any of this, please help?